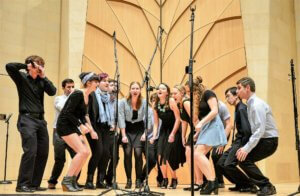 Pittsburgh’s premiere collegiate Jewish a Capella group! 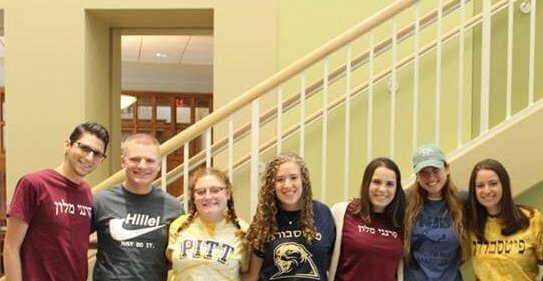 Open to all Pittsburgh-area students, auditions are every semester with performances regularly across Pittsburgh’s Jewish community. Also check out their performance at Kol HaOlam 2017: The 7th Annual National Collegiate Jewish A Capella Championship Competition! Hillelujah is a relatively new group established in 2015. The group is comprised of students from Carnegie Mellon University, University of Pittsburgh and Point Park. We have had so many incredible experiences since our beginning through performing to the greater Pittsburgh community, meeting other singing groups and participating in our first competition! We are so excited to see what is in store for us in the years to come.